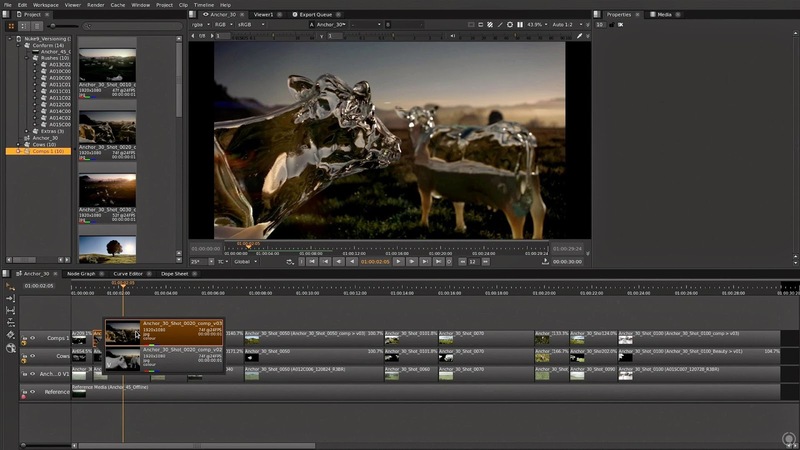 [ #Nuke #Compositing ]London, 21st October 2014 – Leading creative software developer, The Foundry, today unveiled NUKE 9, the biggest ever shake up of its NUKE technology, including the brand new addition of NUKE STUDIO. The offering brings powerful node-based VFX, Editorial and Finishing into a new single studio application, as well as provides core upgrades to the advanced compositing workflows of NUKE and NUKEX. The Foundry showcased NUKE 9 at a live broadcast from London’s historic Leicester Square. NUKE STUDIO empowers creative individuals working independently, as well as collaborative teams working on quick-turnaround projects, in a way that’s previously never been possible. Users can run a whole project from a single desktop, even while sitting with a client, and use NUKE STUDIO’s powerful collaborative controls to share work with a wider team and manage this from a central integrated location. ● Complete online-editing toolkit - Intuitive and familiar editorial tools get the job done fast, whether it’s on set editing, online conform, or simply knocking out quick edits. ● In-timeline real-time effects - Powerful GPU accelerated effects can be added right in the timeline, letting artists quickly experiment, polish and achieve the high-end look they need. ● Fluid end-to-end workflow - Combined timeline and node-graph workflow lets artists work the way they want with all the power to create a project in one application from start to finish. ● Powerful collaborative control - A hub for total project control lets artists share scripts, work collaboratively with annotations and version up and down with ease. ● Real-time 4K playback - Plays in-application and through SDI-Out Hardware giving confidence to client attended sessions. For the first time, The Foundry has certified an HP® and NVIDIA® configuration with Blackmagic. ● Intelligent built-in rendering - Built-in render farm functionality automatically uses all available resources to enhance speed and performance, either on a single machine or when connected to multiple. Ludo Fealy, Owner of nineteentwenty comments: “The addition of NUKE STUDIO brings the ability to tackle a project from start to finish in a very cost effective way. It also provides the ability to run a client attend session that is so essential to us in commercial production. Grant Miller, Creative Director at Ingenuity Engine comments: "We've been very anxious for The Foundry's release of NUKE STUDIO - we started using it on commercial projects the second we got our hands on the beta. “NUKE STUDIO completes The Foundry's toolset by adding a timeline-based, client-facing application that makes commercial finishing both a breeze and cost-effective. It integrates seamlessly with the other NUKE products used throughout the studio, allowing for fluid collaboration in a common and familiar environment." From release, NUKE STUDIO will join MARI and MODO in the PRODUCTION COLLECTIVE, providing an affordable way to access a really comprehensive toolset - perfect for multi-faceted artists. 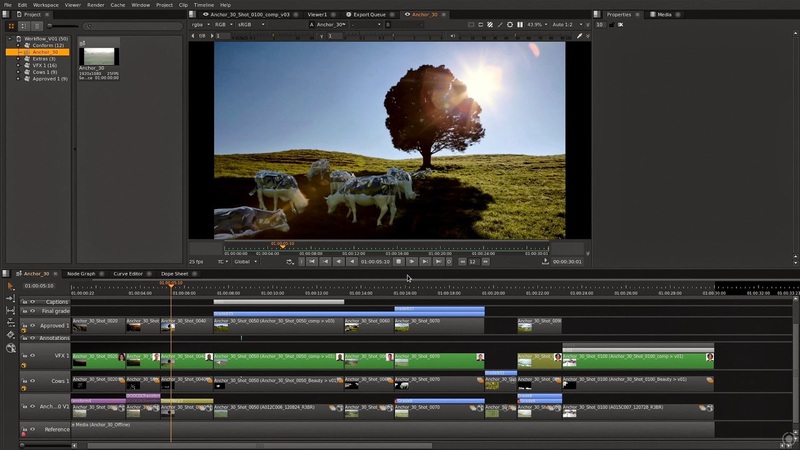 In addition to NUKE STUDIO, NUKE 9 brings fantastic performance and feature updates to the compositing system present across the entire NUKE range. These include a Native Flipbook tool for NUKE and NUKEX; huge performance improvements that cover not only overall NUKE performance but specifically the EXR reader, Deep EXR reader, Particle system and Scanline renderer; Enhanced 2D format support; and cutting edge retiming updates. NUKEX and NUKE STUDIO also include an overhaul to the Planar Tracker, to include a new region tracking algorithm; and huge updates to the Vector Generator, Motion Blur and KRONOS tools, with the addition of a new motion estimation algorithm based on OCULA technology. ● First Seat 12-Month Payment Plan: First-time users to NUKE can split the cost of either a NUKE, NUKEX, NUKE STUDIO or PRODUCTION COLLECTIVE license over 12 monthly payments. Users do not incur any additional fees or charges and will own the software at the end. This payment plan is only available for new customers without any existing NUKE, NUKEX, NUKE STUDIO or PRODUCTION COLLECTIVE licenses. This plan is designed to make it easier for new users, in particular start-ups and freelance artists, to get started with NUKE. 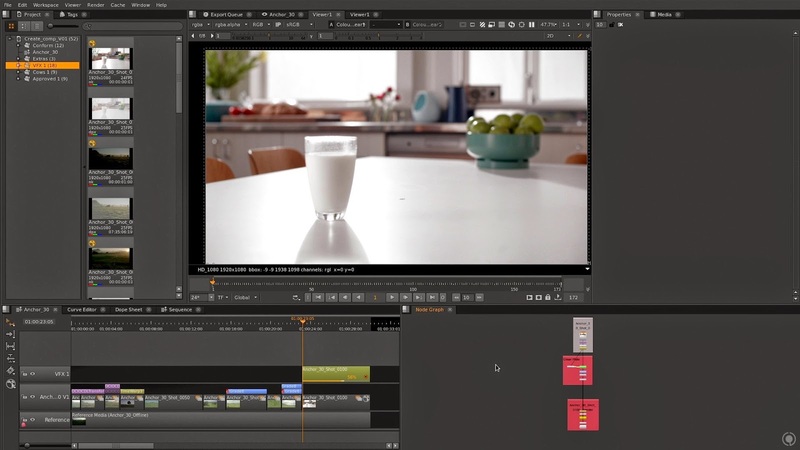 ● Free for non-commercial use license of NUKE, NUKEX and NUKE STUDIO: Designed to make it possible for more people to start learning NUKE, The Foundry will release a free for non-commercial use version of NUKE STUDIO early next year. This is a free non-watermarked but functionally restricted version of NUKE, NUKEX and NUKE STUDIO available to download a 30-day rolling license for anyone not working commercially. “NUKE 9 is an amazing release for everyone. We’ve not only listened to what the market wants on a technical level, but the softer requirements as well. Therefore, in addition to bringing a powerful, flexible and modern new range of products to market, we’ve identified ways to make NUKE more accessible than ever before. With our First Seat 12-Month Payment Plan, we help new users get started with NUKE in a more cost-effective way for them. We’re also really excited to introduce a free for non-commercial use version of NUKE STUDIO. This complements our existing education offering and provides a way for anyone, not working commercially, to learn and experience NUKE. NUKE 9 will be available by the end of November 2014. It’s also the first release of NUKE to support the new Mac Pro and is an apple authorized Pro Res third party product. The full pricing range can be found at www.thefoundry.co.uk/nuke/pricingandlicensing.